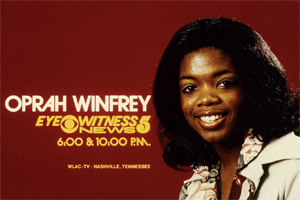 The exhibit honoring Oprah Winfrey at the Smithsonian’s National Museum of African American History and Culture opens on Friday. And according to Sebastian Smee, the exhibit is "a testament — to Oprah, obviously, and her extraordinary story. But also to the rest of us, black and white, American and otherwise. It’s a testament to our culture’s transformation, to who we have become. Is it strange, perhaps even a little concerning, that a woman who is the biggest single donor to this museum should be treated to an exhibition exclusively about her, and so soon after its opening? You bet it is. It’s not a good look. Yet in the end, it’s hard to argue that Winfrey is undeserving of such an exhibition. She had the highest-rated talk show of all time. It aired all over the world for 25 years. No African American woman — you could persuasively argue no man or woman of any race — has had a bigger effect on the culture at large over the past 30 years."